CHOCOHOLIC! Yes, I’m one of the millions who belong to this club. Give me a dessert menu, and I’ll choose the chocolate creation every time. Look in my kitchen cupboards and you’ll find a shelf dedicated to cooking chocolates– bittersweet, semi-sweet, 60 % to 85 %, cocoa powder. Take a peek in our guest bedroom and you’ll see a bowl of chocolate kisses set out for overnight company. Oh, and when traveling I always tuck a few dark chocolate bars into my hand luggage—so calming during turbulence on bumpy flights! So as Valentine Day’s approaches, you can imagine my delight in dreaming up new chocolate treats. 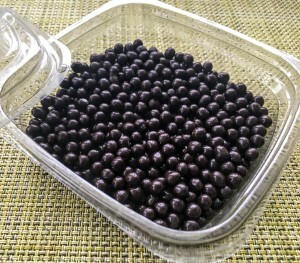 This year I plan to make dark chocolate tartlets with dark chocolate “perles.” So what are “chocolate “perles” (pearls in French) you may ask? 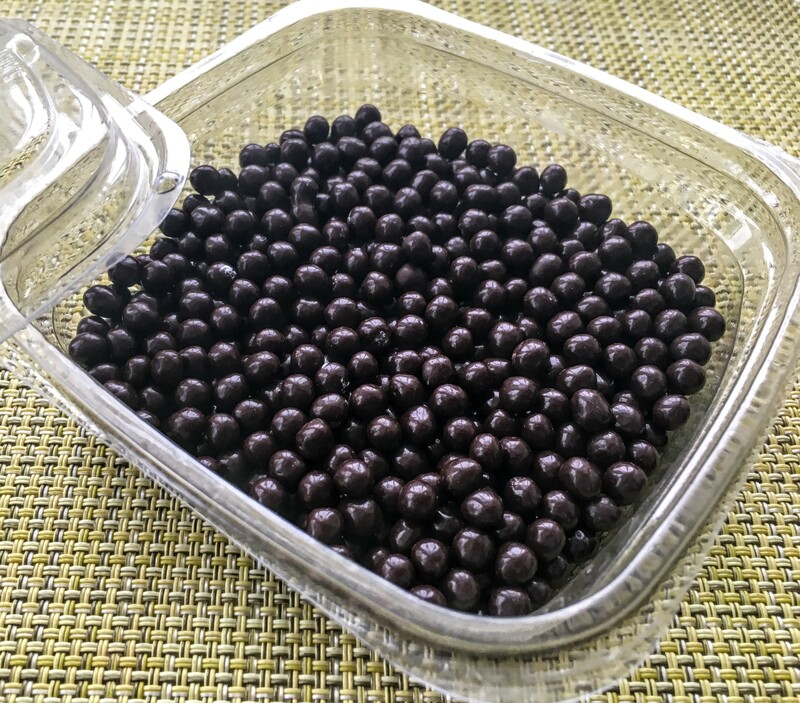 They are petite chocolate balls slightly smaller than pomegranate seeds that add crunch to recipes. I first discovered these morsels in chocolate desserts in Paris. 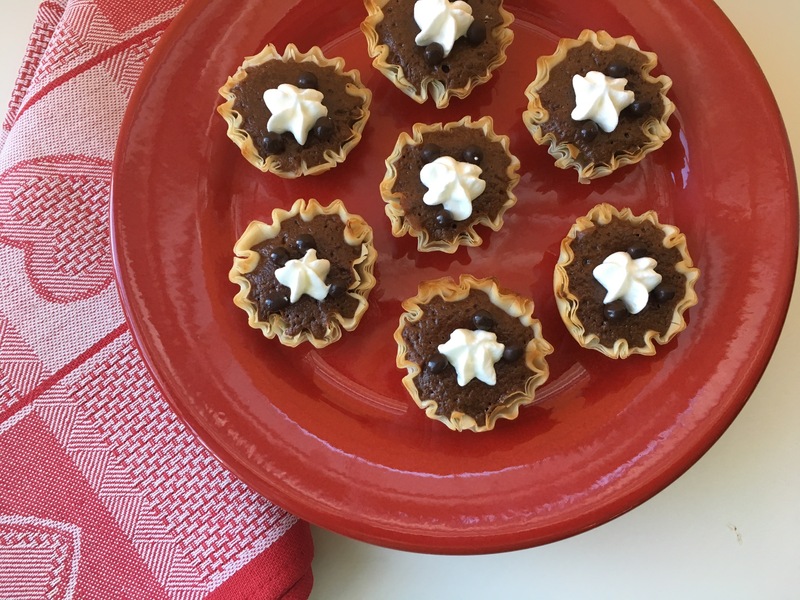 Recently, though, I found Valrhona “perles” in my local Whole Foods, and happily added them to the tartlets. 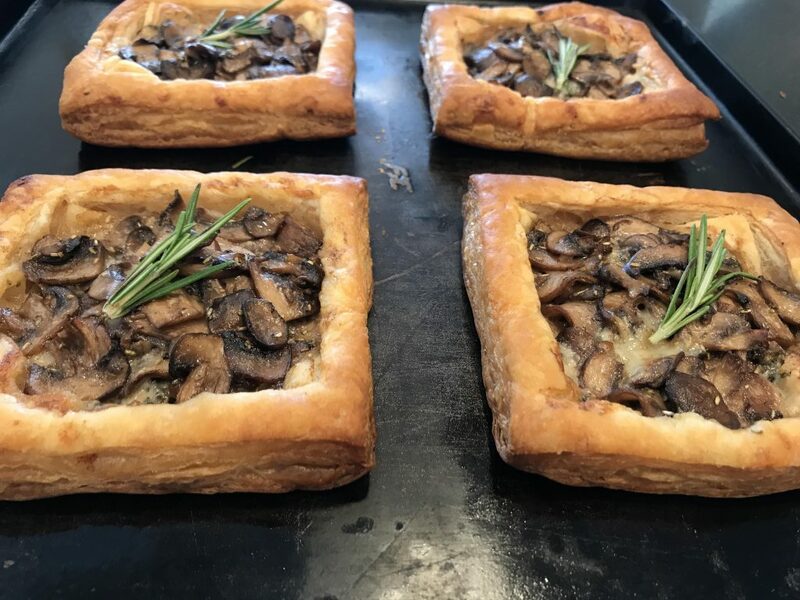 These elegant tarts look as if they take far more expertise to produce than the simple effort that is required. Using purchased puff pastry is what makes them so easy and quick to assemble. 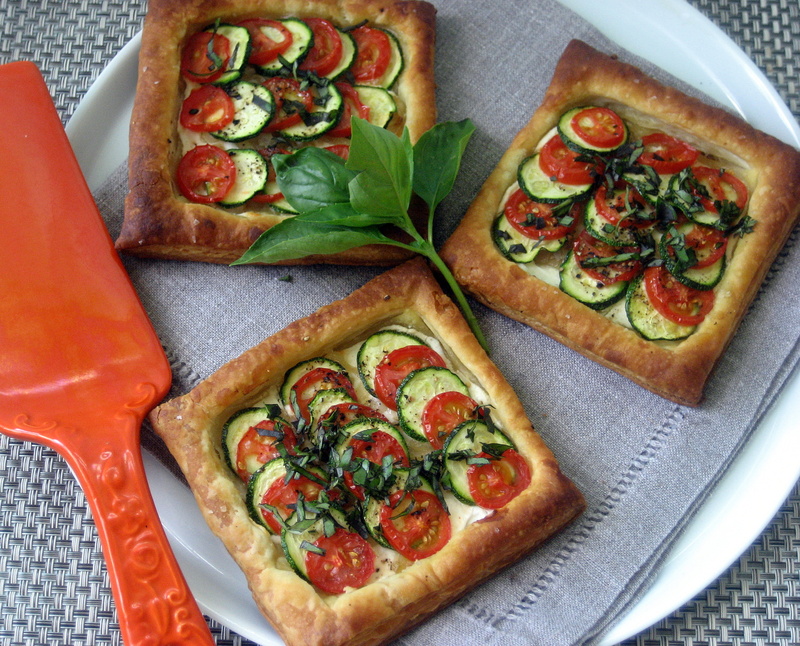 Count on 15 minutes to make the filling, and five for cutting out the puff pastry squares. 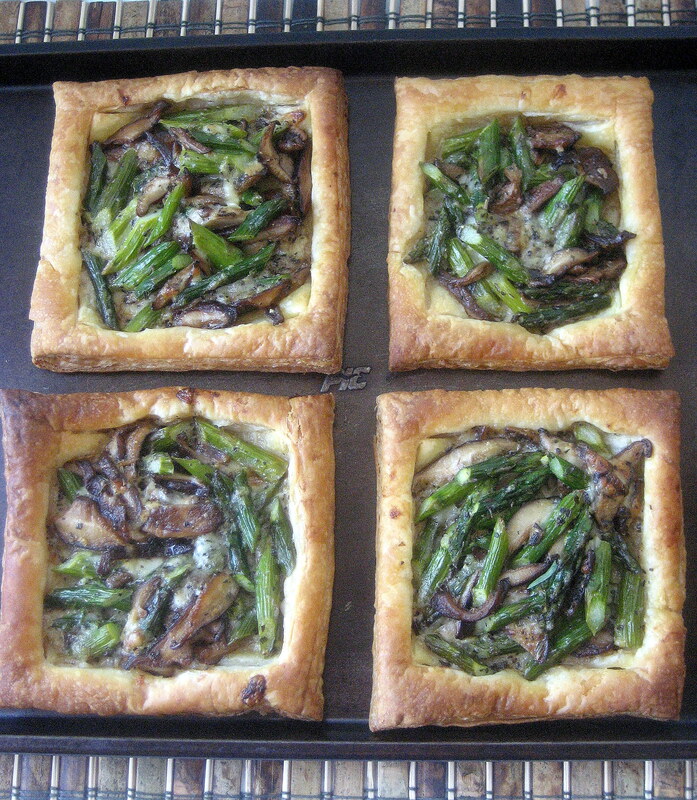 Both the squares and the filling can be prepared several hours ahead so that at serving time you will need only to spoon the asparagus/ mushroom melange onto the pastries, and then bake them for 20 minutes. Serve the tarts as a first course or offer then with a green salad for a summer lunch or light supper.